AzhwAr, finding that no one corrected himself even after his parOpadhESam (instructions to others), turns to emperumAn and complains to him “Oh benefactor! In this world where people fall at the feet of other deities for lowly pleasures, who is there to worship your divine feet?” In the 52nd pAsuram of this prabandham, he felt sad seeing samsAris searching for comfort in samsAram (vilaikkAtpaduvar). In this pAsuram he feels sad for those who neither engage with the readily available superior comforts in samsAram (worshipping emperumAn at various divine abodes) nor with mOksham, which even though has to be attained through some means, is a very great goal to attain but instead engage with svarga (heaven) etc which are to be attained for comforts by observing yagya (rituals) etc and falling at the feet of other deities. kazhal thozhudhu nALum – falling at their feet every day. Those deities are not like emperumAn who will come running head over heels on hearing the words gOvindhA as if a great weight has been placed on his chest or seeing the anjali (worshipping with cupped palms) as if it is also a great weight on him. kazhal thozhudhu nALum – carrying out deeds at the feet of the other deities, deeds which are to be done at emperumAn’s feet without thinking of them as means to attain him but as goals in themselves. What is the benefit of carrying out such activities? idai ninRa inbaththar Avar – they will attain insignificant, temporary comforts such as svarga etc which are neither like the readily available comforts in samsAram (divine abodes of emperumAn where one can worship him) nor the great mOksham which is attained through observing certain means. These people will suffer a great deal in attaining even such lowly comforts. 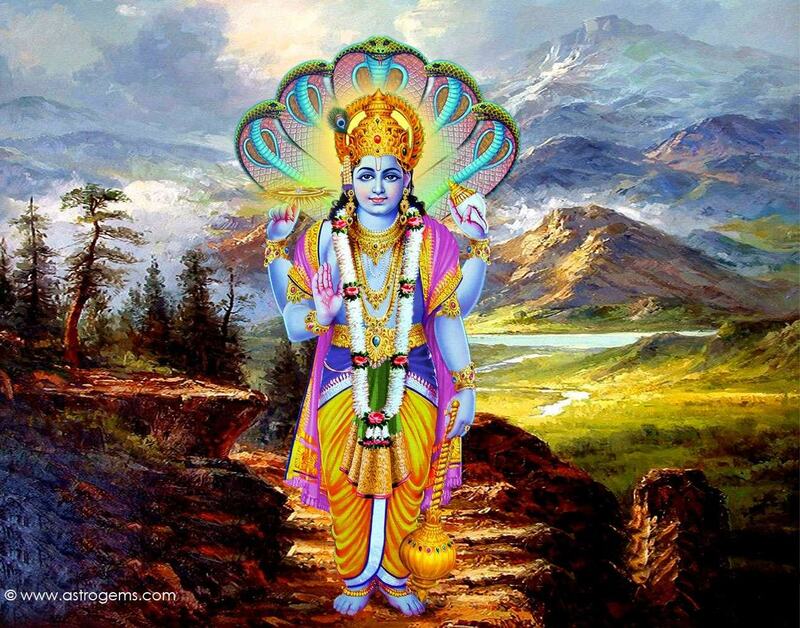 pudai ninRa nIrOdha mEni nedumAlE – Oh emperumAn who has a divine form similar to the ocean surrounding earth! The implied meaning is that emperumAn’s divine form is easy to see since (1) it is neither like the lowly and temporary comforts of samsAram nor invisible like svarga and mOksha but visible to the followers since emperumAn is in archA (idol) form; (2) like the ocean it removes all types of heat from samsAram and gives great comfort. nIrOdha mEni nedumAlE ninnadiyai yArOdhavallAr avar – who is there in this world who praises your divine form, a form which is such great that it is apt to be praised even if that praising does not yield any benefit? Are the samsAris who sell themselves for lowly comforts capable of praising you? Or, are those who attain lowly goals such as svarga etc capable of praising you? We will take up the 56th pAsuram next. This entry was posted in iyaRpA, nAnmugan thiruvandhAdhi on August 13, 2018 by T N Krishnan.